ALL.BIZ Canada Canada products Home and garden Home textile Carpet products Carpets Square Area Rugs. 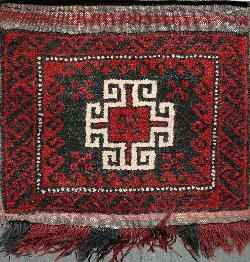 Afghan sarpelasi rug 1'4'' x 1'4''. Square Area Rugs. Afghan sarpelasi rug 1'4'' x 1'4''. Sarpelasi rugs are primarily hand woven by nomadic tribal weavers in northwest Afghanistan. They are hand knotted from hand spun wool and have a very stylized floral and all over pattern, borrowing largely from Baluch and Tajik tribal influences. These rugs are very durable and mostly come in smaller sizes. They also weave saddlebags, salt bags, prayer rugs, which reflect their nomadic way of life.